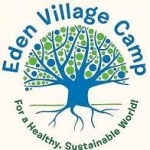 Rooted in the Jewish vision of creating a more environmentally sustainable, socially just, and spiritually connected world, Eden Village Camp is dedicated to providing campers with an incredible summer experience while empowering them to promote a vibrant, sustainable future for themselves, their communities, and our planet. We are the only Jewish environmental farm to table summer camp in the world! First night of Staff Training! Peter Yarrow (from Peter, Paul & Mary) invites you to his NYC home for an Eden Village fundraiser! Celebrating Tu B’shvat… By Living Up in a Tree? “Camper Girl” takes on the White House! Watch as our sometimes clueless, infinitely entertaining and always lovable friend (who may or may not bear a likeness to Joanna Katz) takes action in D.C., together with other Eden Village friends. Note: This is full of jokes that will make most sense if you were here during Summer 2011, but it works either way. The groundbreaking Festival of Eden – this Sunday!